In January of 2013, Alma called Enlace Comunitario. This time, Alma called to say ‘thank you’ for all of the support that she had received and to ask how she could help the organization that had helped her so much. Enlace staff quickly set up a meeting with Alma. Alma was surprised and delighted by how much Enlace had grown in over ten years. She couldn’t believe all of the different programs that Enlace offered and how many families we served. Today, Alma’s life is completely different. Alma is the proud owner of Nena’s, a Mexican restaurant in Albuquerque, and an involved mother of three beautiful daughters who are excelling in school. She has a new partner who she credits with being respectful and attentive. Her restaurant features posters and literature that promote Enlace’s life-changing programs. 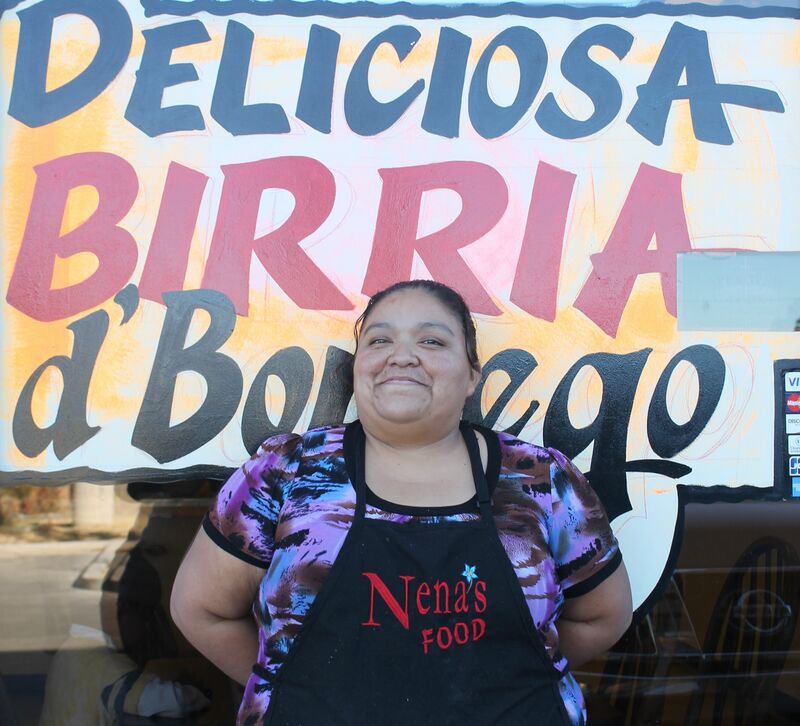 We encourage you to support Nena’s and enjoy their delicious food. Their address is: 806 Old Coors SW, Albuquerque, NM 87121-3306. For more information on this story, contact Sandra Ortsman.